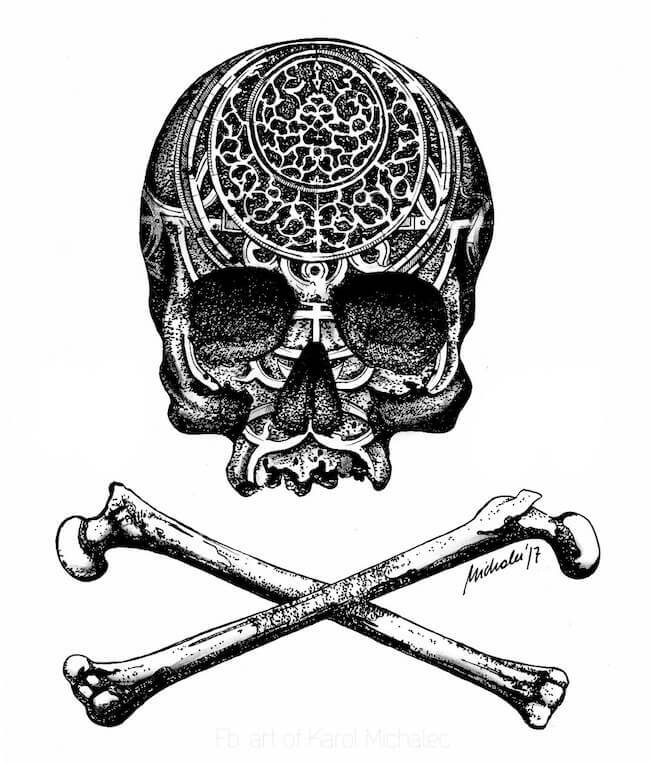 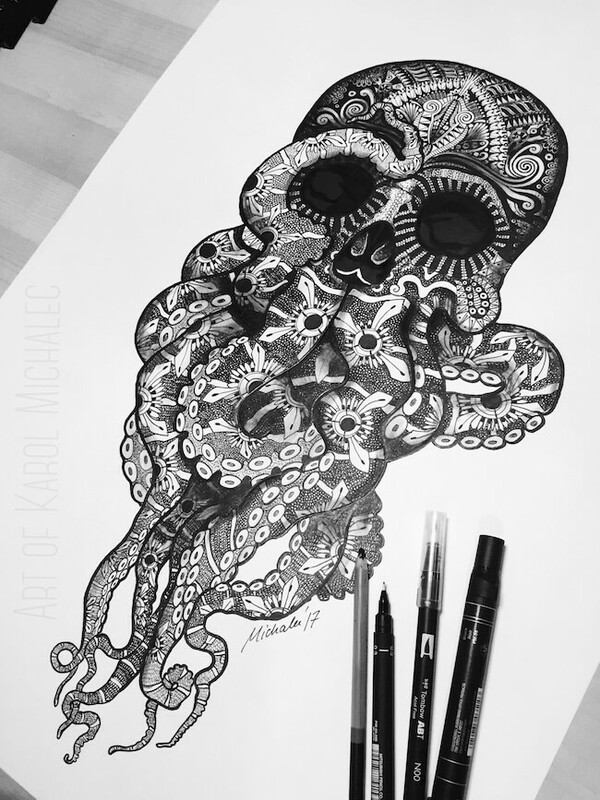 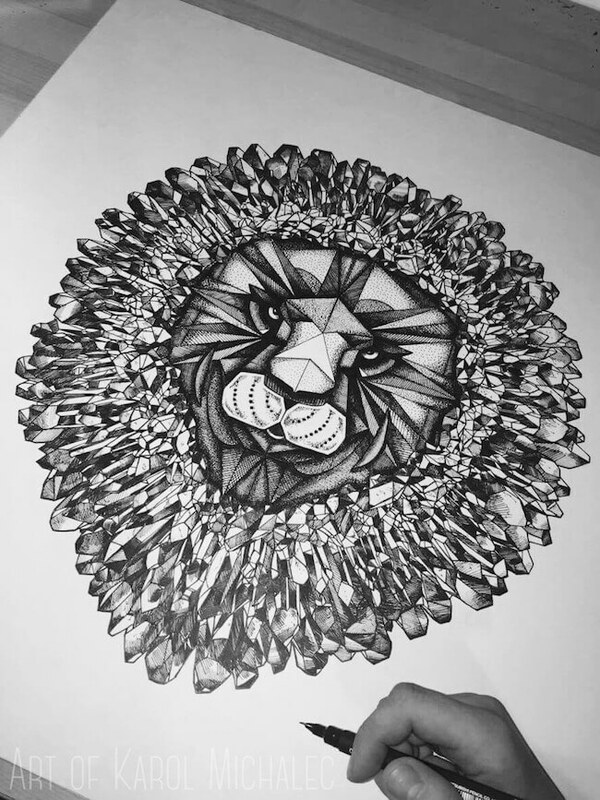 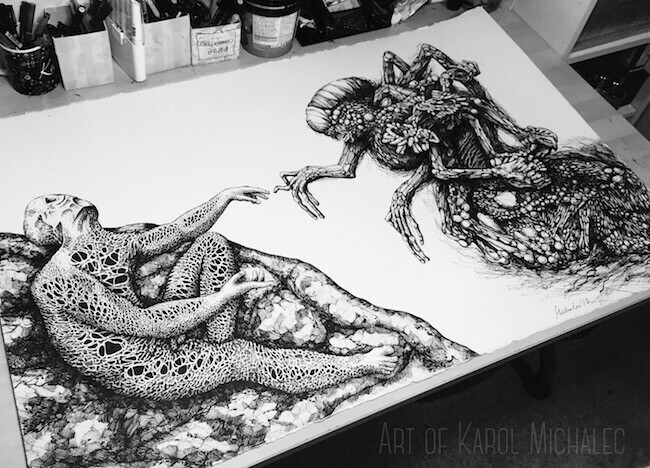 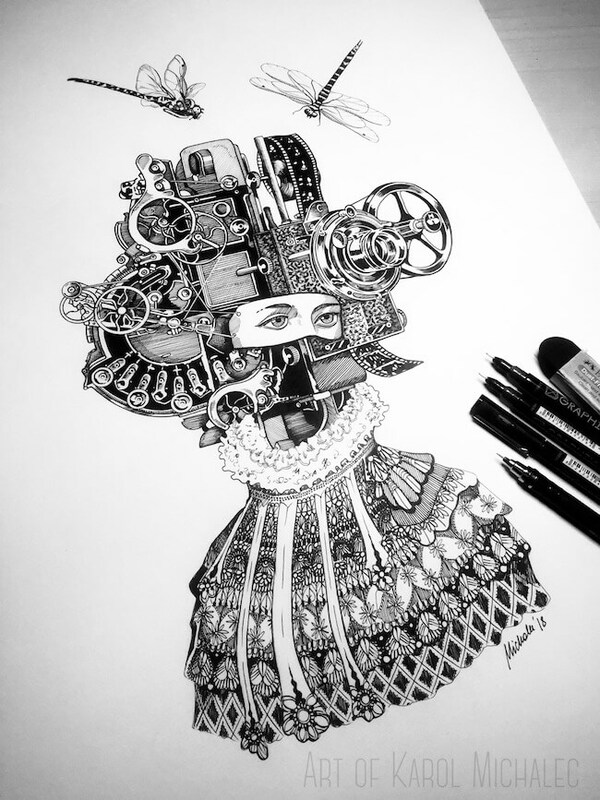 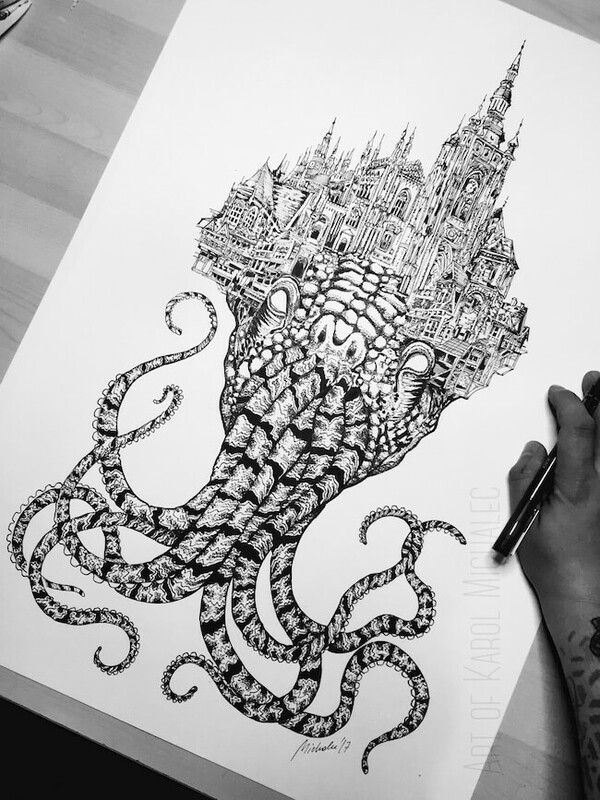 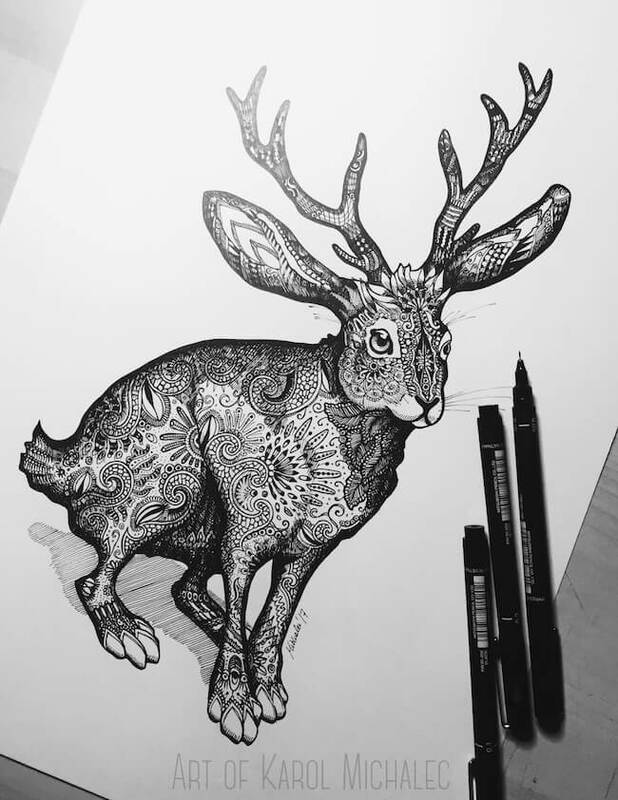 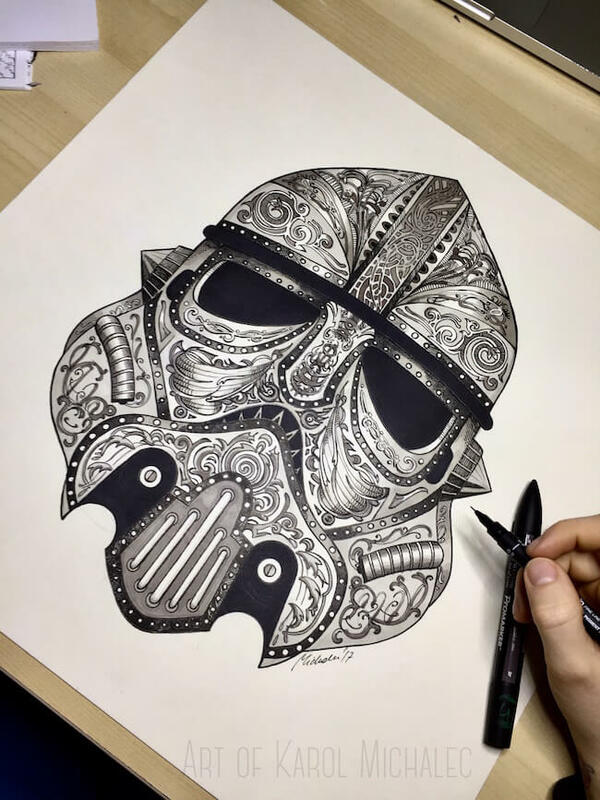 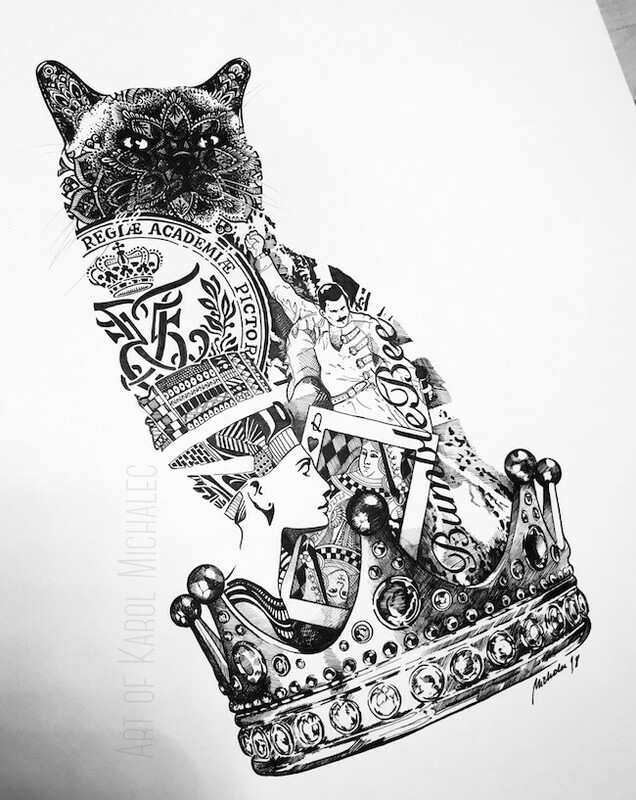 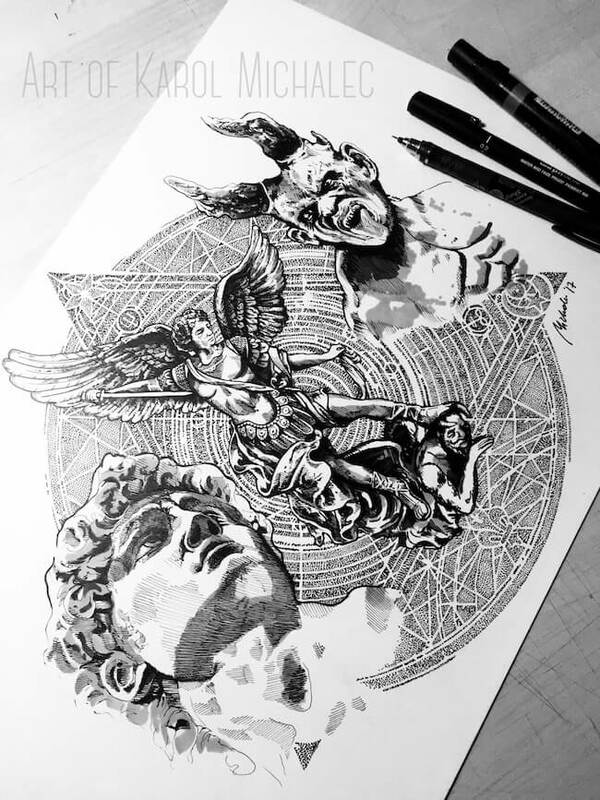 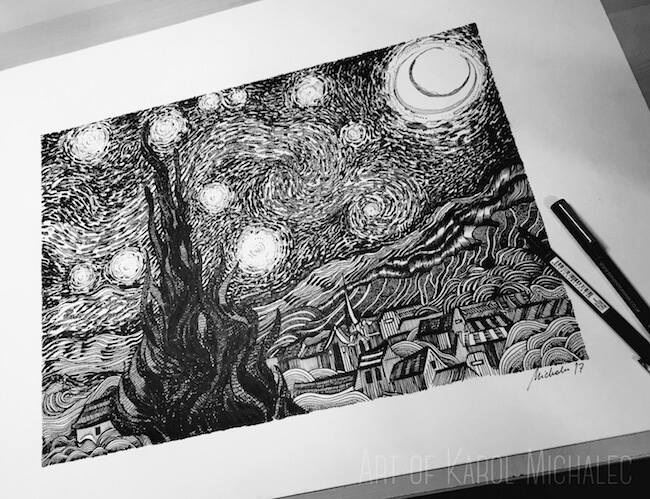 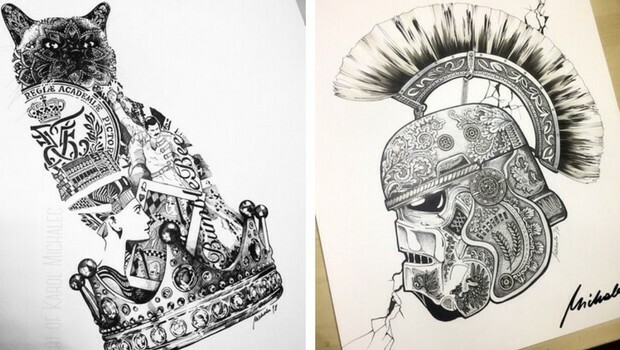 Please meet Karol Michalec, a Polish guy from Brighton UK who likes to draw things. 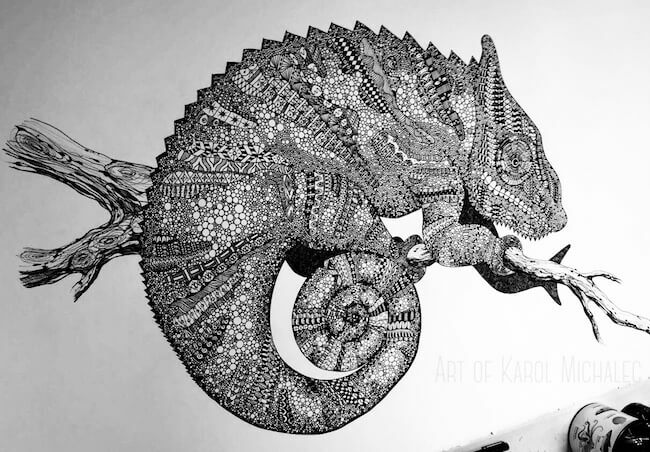 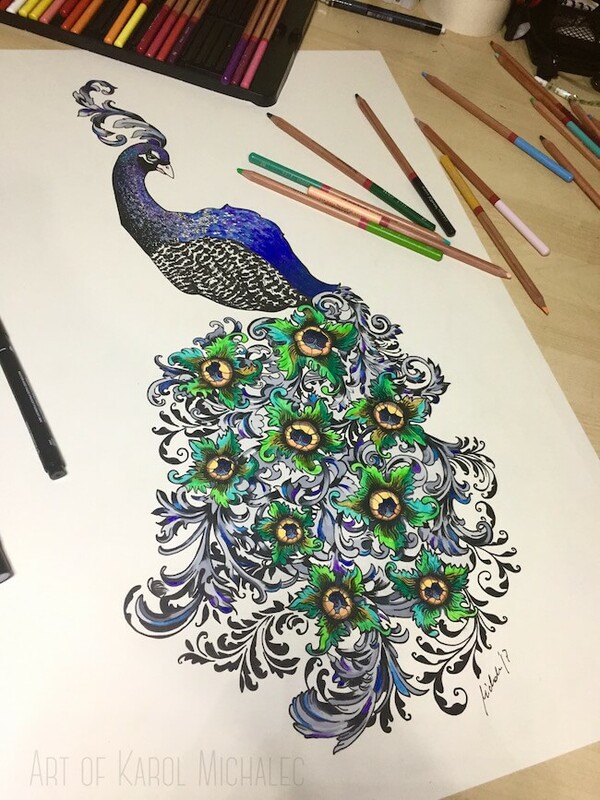 Karol graduated from the Brighton University in 2013 with a degree in Fine Art Sculpture and found he was drawn into the world of pigment ink creations. 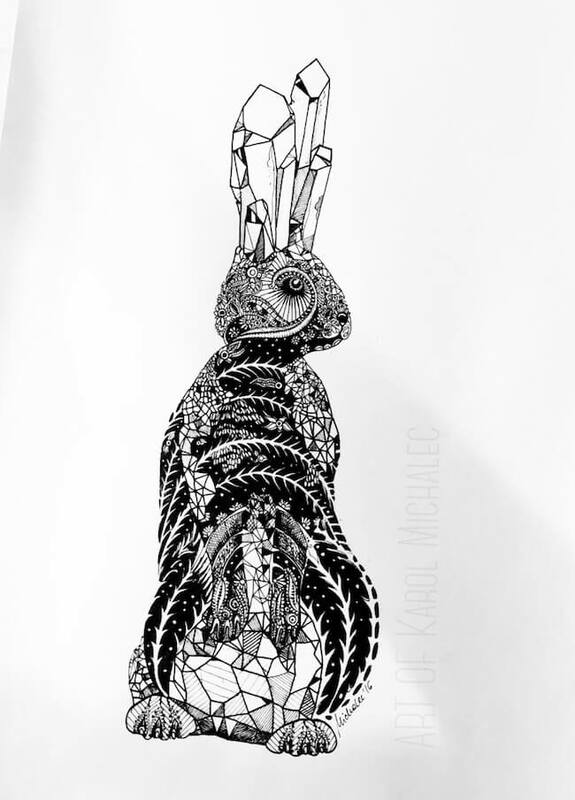 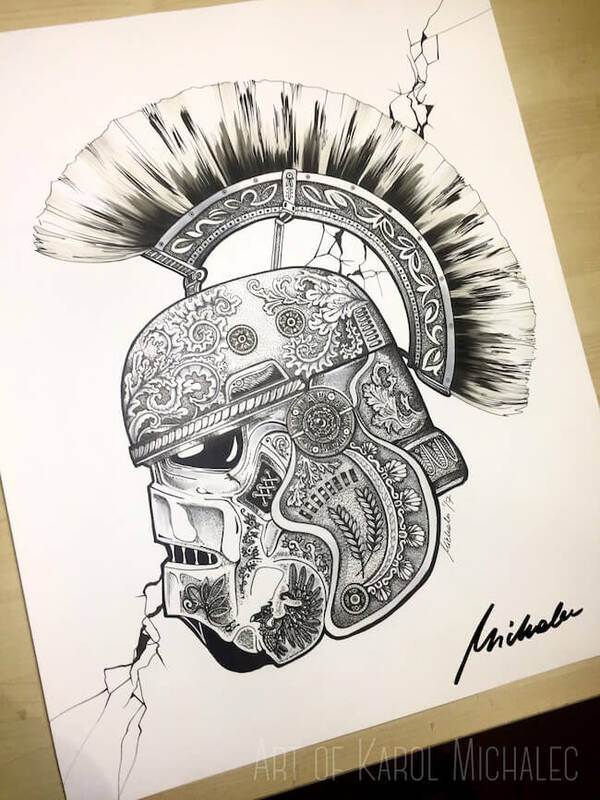 Karol likes to dwell into his dark creations, often creating very visual and bold pieces that contain lots of embellishments, his pieces are timeless and inspired by nature, industrial and mechanical forms, he says he likes to merge the two together and it actually shows in his work.